Mark Carpenter and Herlinda Heras are alone in the studio with Steve Jaxon on today’s show. Herlinda is back from Europe with a lot of cool stuff. She was in England judging the British Pie Awards competition. She brought back a cold pork pie and a beer from northern England called the Bleu Brew, as it’s made from the whey from Stilton cheese. There were 24 categories of pies, all but one was savory and only one was sweet. They covered Northern Ireland, England Scotland and Wales. There were fish pie, cold pork pie, steak and ale pie, steak and kidney pie, game pies of all kinds, squirrel pie, venison pie, even vegetarian pies. They also had some curry pies. There were 938 pies, just 56 in the game pies category. She had 8 other judges with her in her category. Four years ago yesterday was Mark Carpeneter’s first time on Brew Ha Ha, when he was a guest. Herlinda says that in England they all knew Mark Carpenter and love Anchor Beer. Some brewers in England gave Herlinda some hand-picked beers to bring back to Mark. One is from Fuller’s, oak aged in whiskey casks for 500 days. 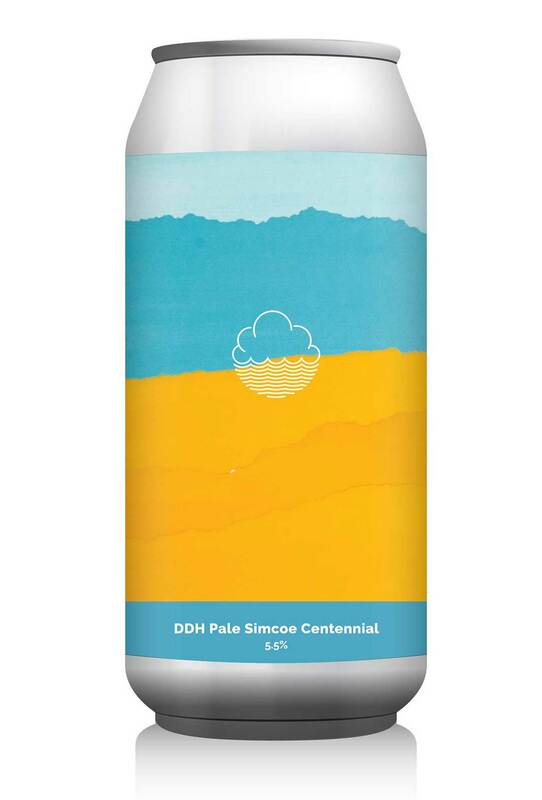 Then they taste two that Herlinda brought, both from Cloudwater Brewery in Manchester, England. They have local artists do their labels. Herlinda also visited Buxton Brewery in Buxton, England. 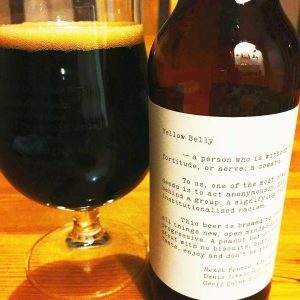 In Buxton Herlinda found a beer called Yellow Belly, which has a provocative label wrapper and a proactive anti-hate message on the label. 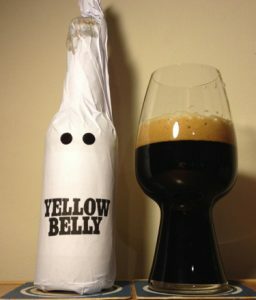 Yellow Belly: a person who is without courage, fortitude, or nerve; a coward. 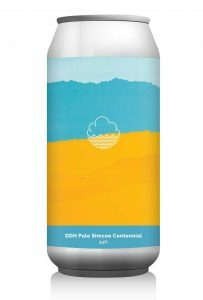 Next, from Cloudwater, they taste a double IPA called Enigma, an 8.5% beer. Mark says it’s double alcohol but not double hops. Herlinda says the English brewers love coming to California. Herlinda brought some Sonoma County beers there and “they were going bananas” in England for them. Next they taste a peanut butter biscuit flavored beer, which is 11%, with a chocolate aroma and some peanut butter flavor. Herlinda mentions that Yellow Belly is one of the highest rated brews in the world. Steve asks what the old folks are drinking today, as opposed to the new beers which are popular among younger drinkers. Campaign for Real Ale was a movement in England to preserve the old styles. Classic lower alcohol, lower in hops, that you can drink a lot of because it’s not so strong. Herlinda describes the shopping malls built into the old converted industrial buildings in England, where there are also pubs. The second oldest pub in England is in Leeds. In closing, Mark comments on and laments the fact that Mendocino Brewing has closed. Steve says that Red Tail Ale was one of his favorite beers and Mark says that their logo was his favorite one.